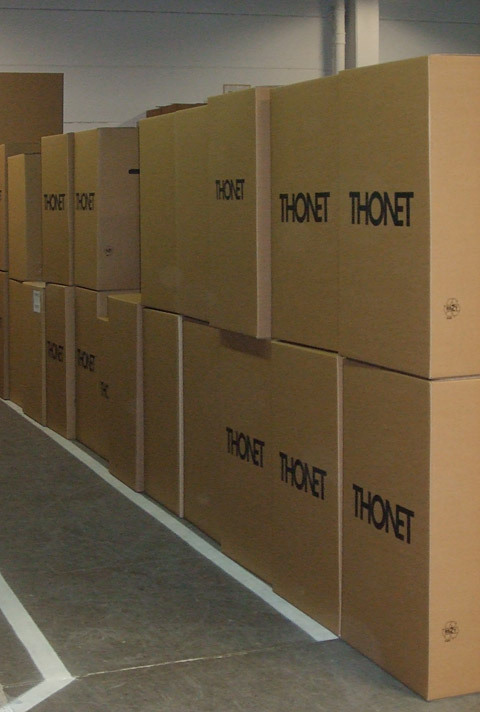 In the production halls of the Thonet company you will find cutting-edge machines and computer-controlled robots capable of independently carrying out complex processes, including changing tools. 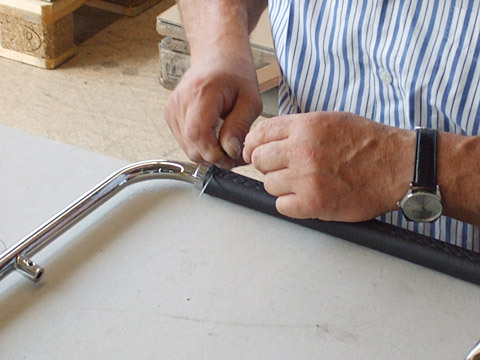 They bend tubular steel, a construction method which has already become somewhat of a myth. 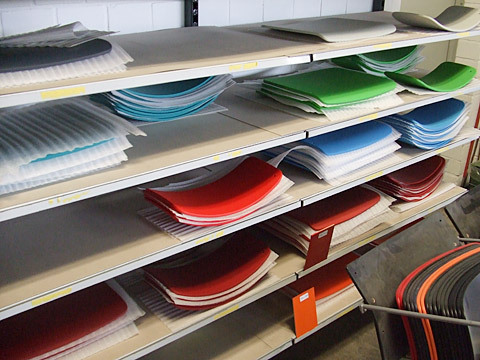 In addition, skilled personnel carefully carry out work by hand: Padding and applications are added by means of intricate handwork. 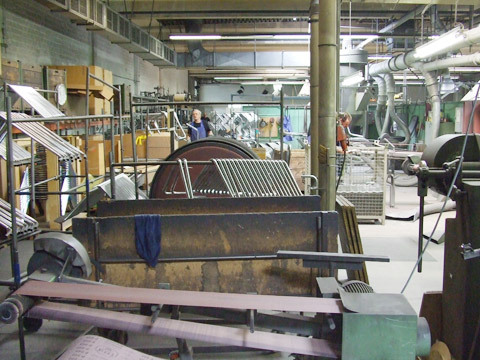 These processes are based on decades of experience; you could almost call it their own tradition. 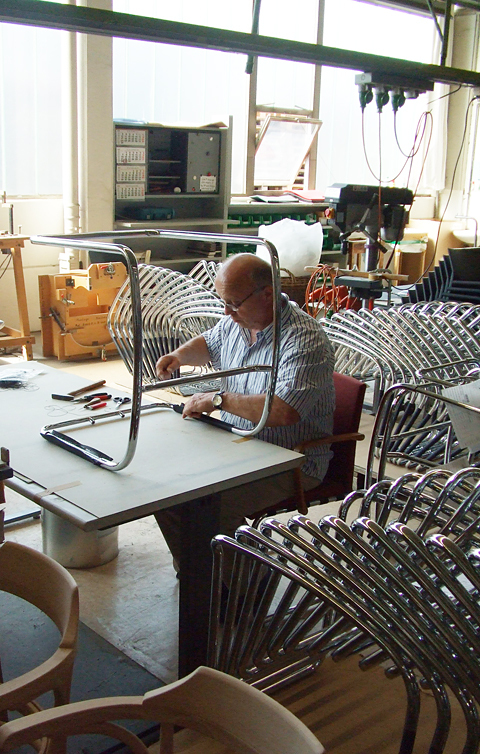 Many factory visitors do not initially realize for what piece of furniture the individual bent elements are intended - an original Bauhaus design, a re-edition of a product from the 1970s or a current project. 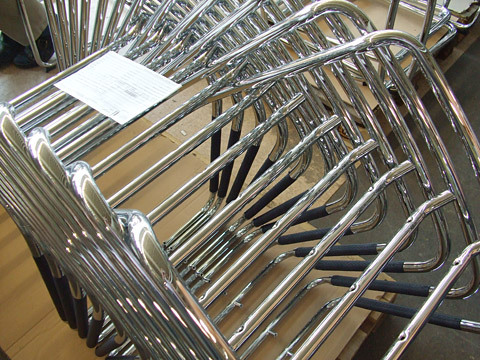 The Bauhaus naturally comes to mind when we think of tubular steel furniture. It was established in Weimar in 1919 and dissolved again in 1933 under pressure from the Nazi regime. The school existed successively in three German cities, first in Weimar, then Dessau and finally in Berlin. 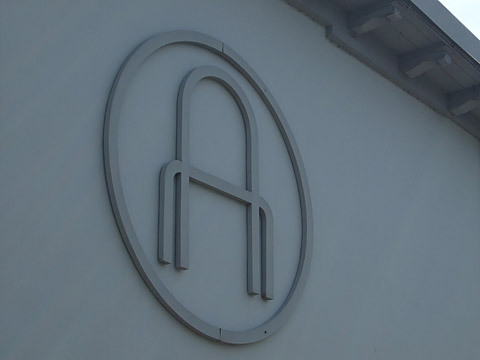 The Bauhaus in Dessau, in particular, became known for its steel furniture. 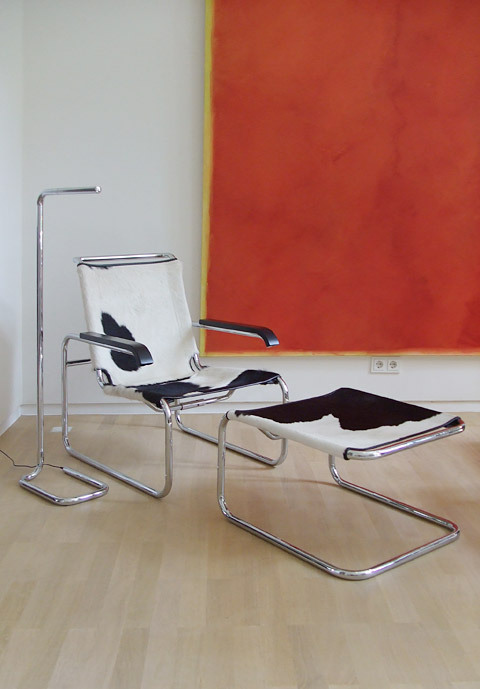 Starting in 1926, Mart Stam developed the so-called Cantilever Chair. The frame consists of gas pipes, it has no rear legs and the seat and backrest are made from woven flax material. 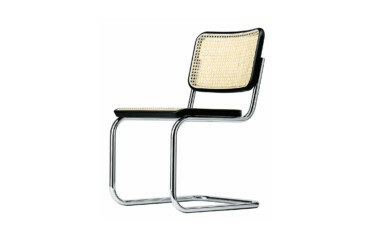 Mart Stam designed other versions based on this first model, which are still produced by Thonet today, for example, the chair "S 33". In 1927 Mart Stam and other designers presented their latest tubular steel designs at the "Stuttgart Weissenhof Estate" exhibition. Mies van der Rohe had been experimenting with frame construction. He discovered that depending on the material the frame of a cantilever chair gives under the weight of a person, leans back slightly and thus increases seating comfort. The first cantilever was created with these considerations in mind. Marcel Breuer, on the other hand, developed various items of furniture. 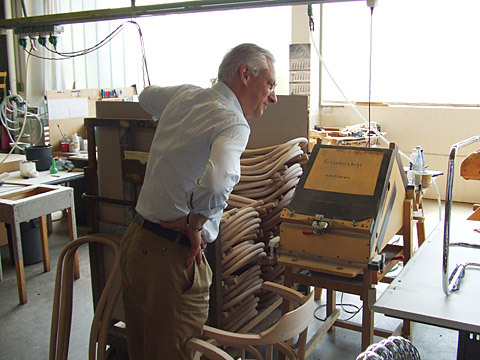 His best-known piece is the cantilever chair "Cesca", whose name he derived from that of his daughter, Francesca. 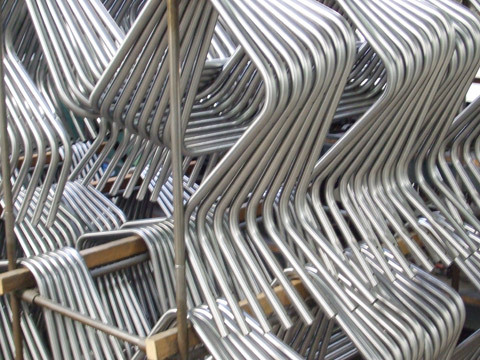 Today Cesca is manufactured by Thonet under the name "S 32"
In the early 1930s Thonet, a manufacturer who had until then specialized in bent wood furniture, began producing tubular steel furniture. 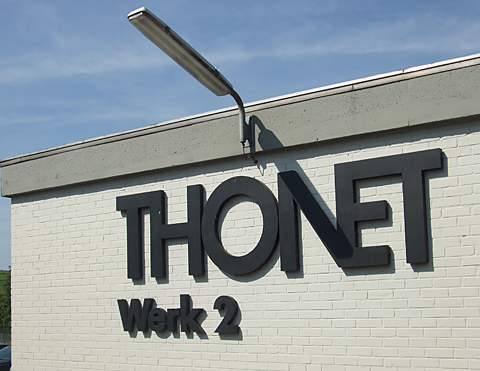 Thonet purchased the company Standard-Möbel and started negotiations with its managing director, Anton Lorenz, regarding the manufacture and sale of all the tubular steel designs created by Mart Stam, Mies van der Rohe and Marcel Breuer. However, developments in tubular steel certainly did not come to a standstill in the 1930s. 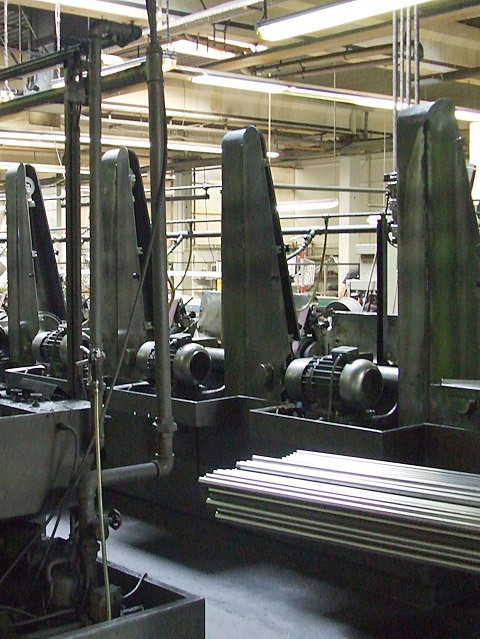 New designs which present tubular steel in a new light are still being introduced today. And it seems the potential of this construction technique has not yet been exhausted, even though it will probably always be associated with the Bauhaus. 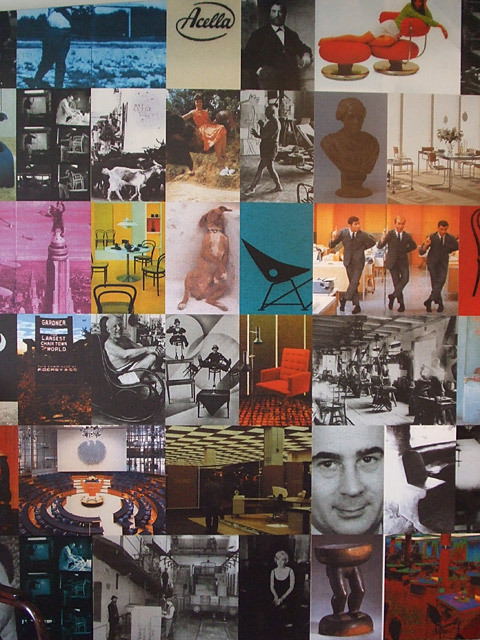 It was not for no reason that designer James Irvine named the post-Bauhaus-era designs "What the Bauhaus has forgotten". 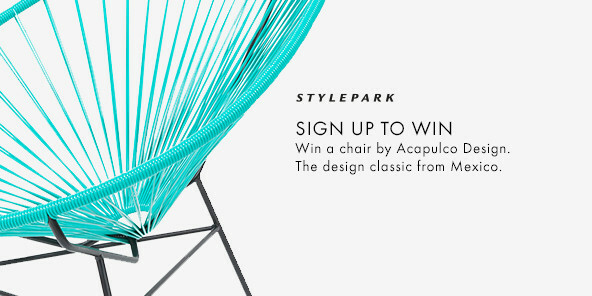 These designs include the rocking chair "S 826" which Ulrich Böhme designed in 1971. The S 826 not only rocks up and down but also back and forth so that you can relax in a half-reclined and very comfortable position in the ergonomically-shaped seat shell and backrest. Formally, the chair is reminiscent of an endless curved loop. With this design, Ulrich Böhme references the Thonet tradition in various ways. In terms of type and form, the S 826 is a reinterpretation of the classic bent wood rocking chair "No. 1", designed in 1860, and the designer's choice of material is oriented on tubular steel furniture, which at the time had long since become "classic". The S 826 remained in production for 18 years; it has been available as a re-edition since 2006. 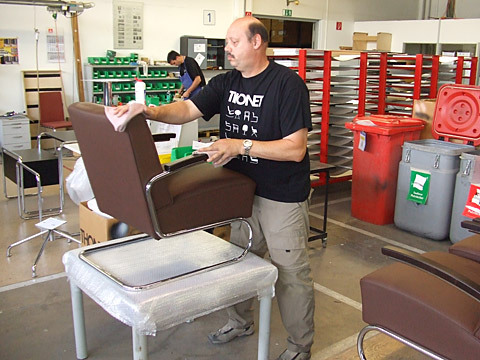 At present, James Irvine works as designer and Creative Director at Thonet. 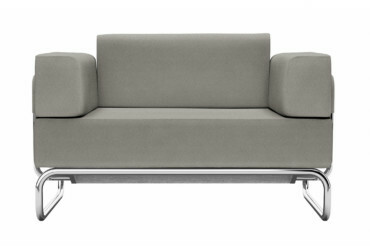 The sofa group "S 5000", amongst other things, resulted from his work with tubular steel. While the first tubular steel chairs from the 1920s were barely padded, by the mid-1930s Thonet was already developing a series of padded sofas and armchairs. 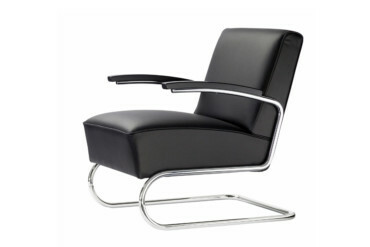 The fauteuil "S 411" of 1932 probably marked the beginning of this trend. The upholstered furniture of Le Corbusier, Pierre Jeanneret and Charlotte Perriand also springs to mind here, including the "Fauteuil à grand comfort", produced by Thonet in the 1930s. Demands in terms of comfort, variability and workmanship have now increased. Seating angles have changed so that one no longer sits elegantly upright and relatively stiff, but in a more reclined, horizontal position. Today's sofas and armchairs are also equipped with high-quality spring core padding, which makes them even more comfortable. In the words of Le Corbusier: The sofa as a seating "machine" has become considerably more comfortable over the course of the years. 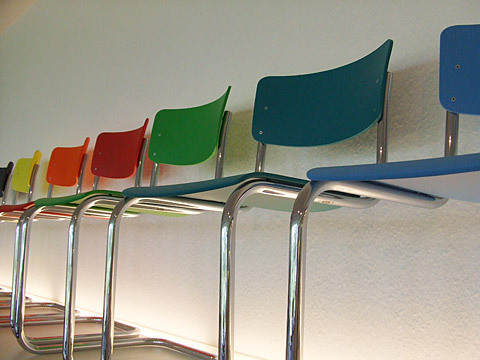 In May 2010, Thonet presented its latest tubular steel product, "Lum". 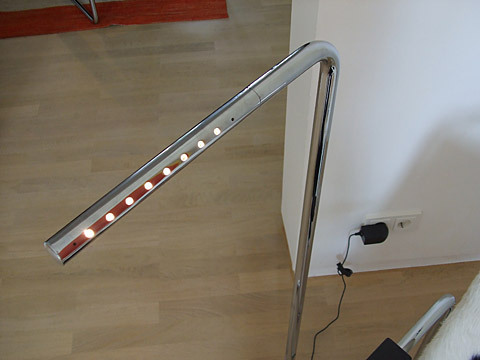 It is a floor luminaire designed by Ulf Möller consisting of a bent tube which forms both stand and light bracket. The tube also conceals the cable. 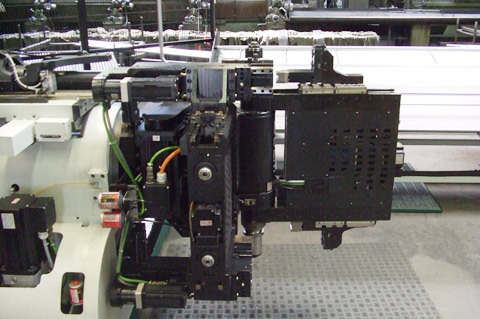 A series of eight LEDs is integrated into the horizontal top section. To switch it on and off and to dim the light, you touch the outermost LED. 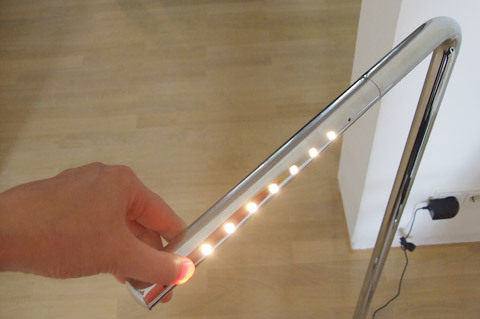 Moreover, you can turn the horizontal light bracket with the embedded lights to change the direction of the light. In the Thonet showroom, the luminaire stands both next to the Bauhaus classics and the contemporary tubular steel furniture by James Irvine - and thus appears to bridge the gap between classic and contemporary.